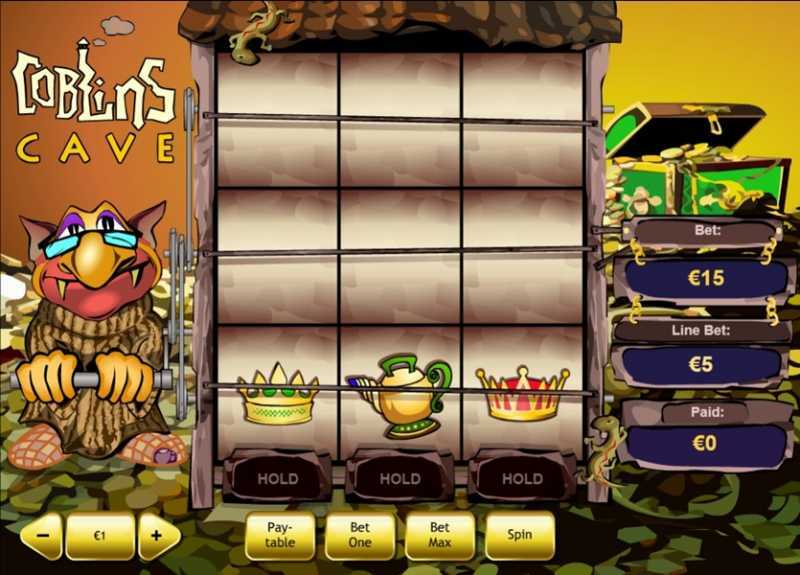 It’s a simple 3-reel, 3-payline slot. 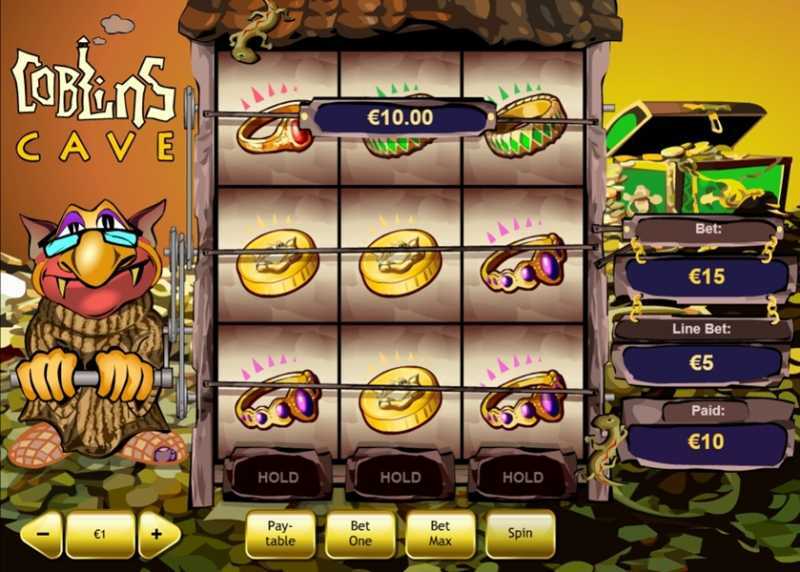 However, unlike most other slots, Goblin’s Cave employs a hold feature so there is a little strategy necessary when playing this game. 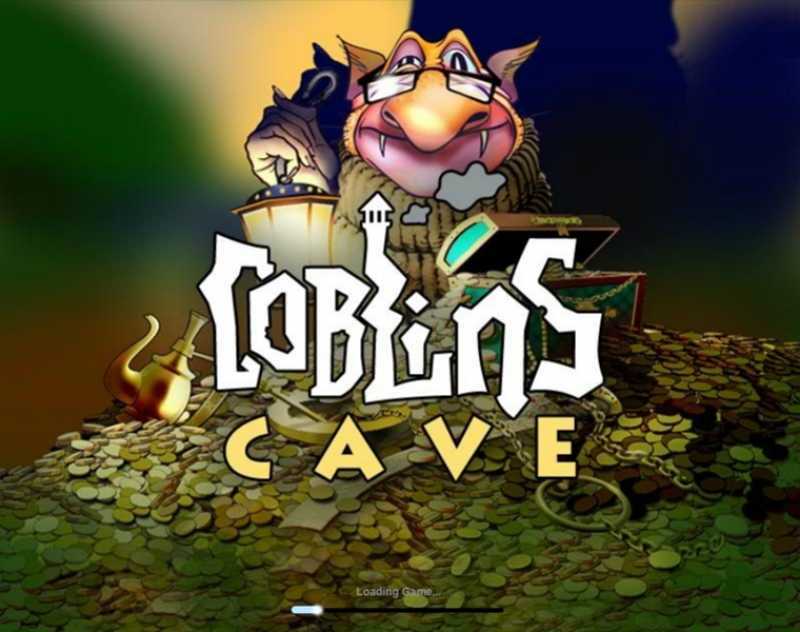 Although Goblin’s Cave doesn’t possess huge multipliers and free spins, there is a generous bonus feature and plenty of other ways to win which make this a rewarding game to play. 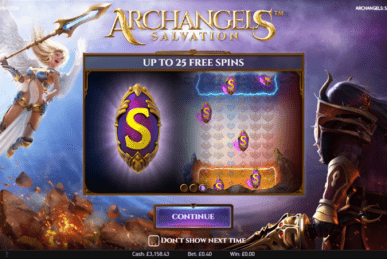 Knowing the symbols is vital for this slot because you only want to hold the ones which offer the most value and therefore the potential for the biggest wins. The Ruby symbol is the slot’s Wild and this will auto-hold as it provides a win whatever. The Lantern triggers the bonus so keep an eye open for that one, too. The 3 Crowns carry plenty of value and the 3 teapots aren’t bad either. The lower value symbols are the rings and don’t be fooled by the Gold Coin – it is only worth 1x so it’s not worth holding. The game is played on a 3×3 grid. When you start, the Goblin will spin the bottom reel and you have the option of holding a single reel, 2 reels or all 3. If you hold 1 reel the same symbol will appear in the two rows above and the Goblin will spin the other reels again. Wins are paid out on the 3 horizontal rows. Note, if you spin a winning line straight away, all the rows will fill – like an auto-hold function. Matching 3 lanterns horizontally opens the bonus round. This allows you to open 1 chest from the Goblin’s Cave. If you won with 2 sets of lanterns on winning lines, you get to open 2 chests. The maximum number you could open is, of course, 3. The prizes are all cash amounts; some small others quite large. 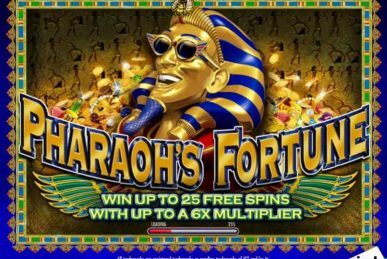 Regarding the betting limits, you can choose from £0.01 up to £5 but there is a fixed 5x multiplier. So, a £5 line bet actually costs £25 and you have to wager on all 3 lines which means the total cost is £75 (maximum betting). 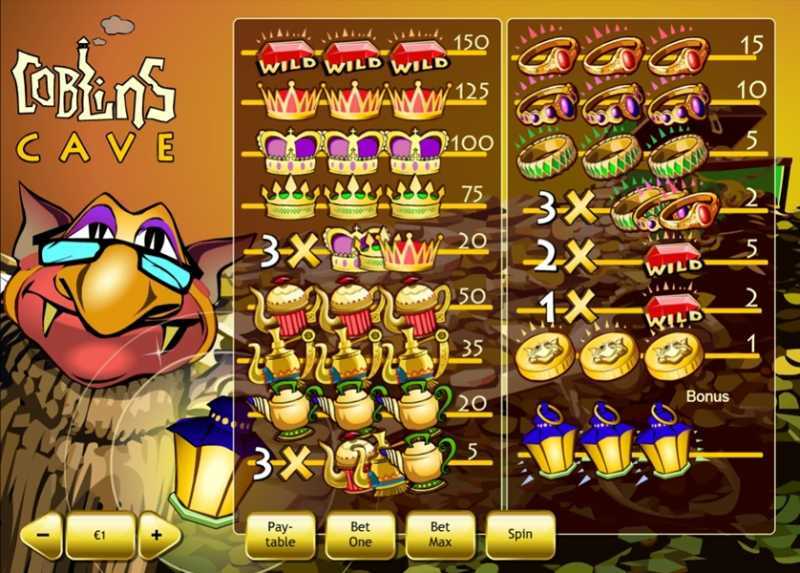 Payouts range from 150x the line bet, which is for 3 Ruby symbols, all the way down to 1x for 3 Gold Coins. 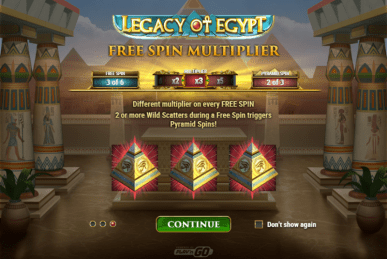 With the right strategy the RTP is much higher than most traditional slots. This provides an extra incentive to play. 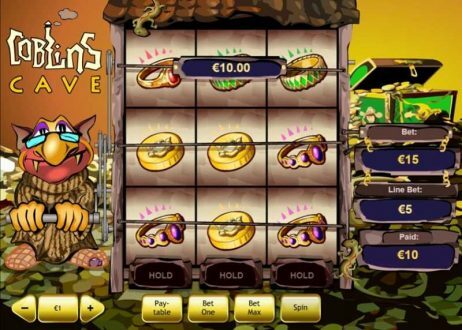 If you are after something different, then this slot is for you. We like it as there is far more player involvement required than usual slot games. It won’t make you a millionaire but it won’t bankrupt you either. For sheer entertainment value, Goblin’s Cave is well worth a spin.